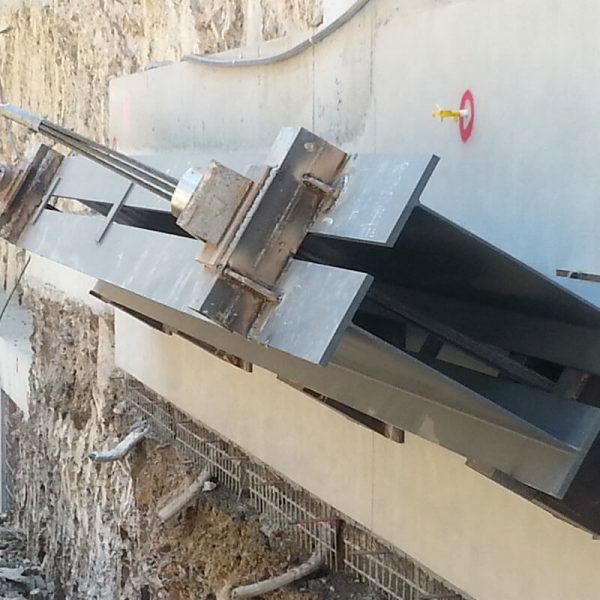 Diagonally inclined between a vertical wall and ground. 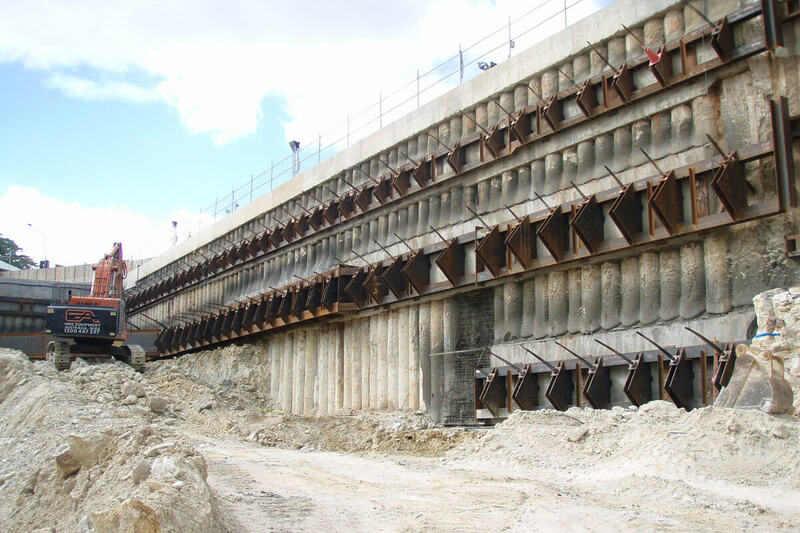 Steel walers act differently and are provided with the interaction of ground anchors at certain spacing along a retained wall, generally where secant or contiguous piled walls are installed the waler acts as a beam to distribute the load evenly along the retained wall. 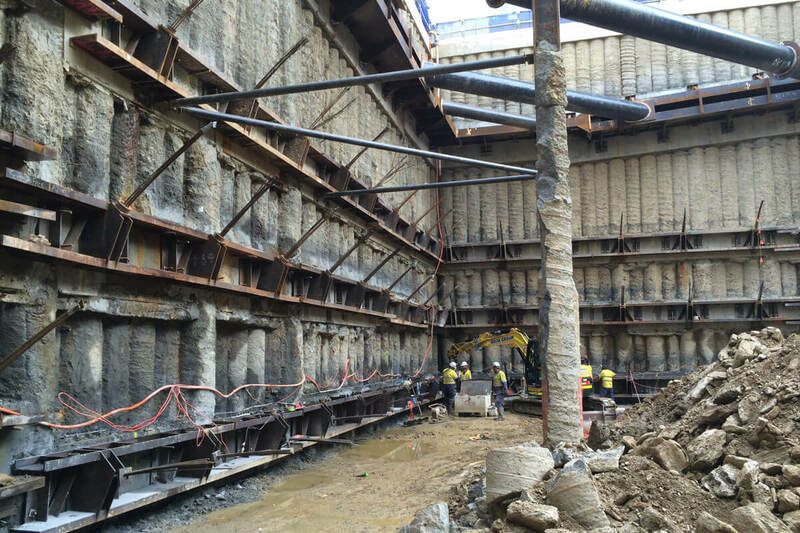 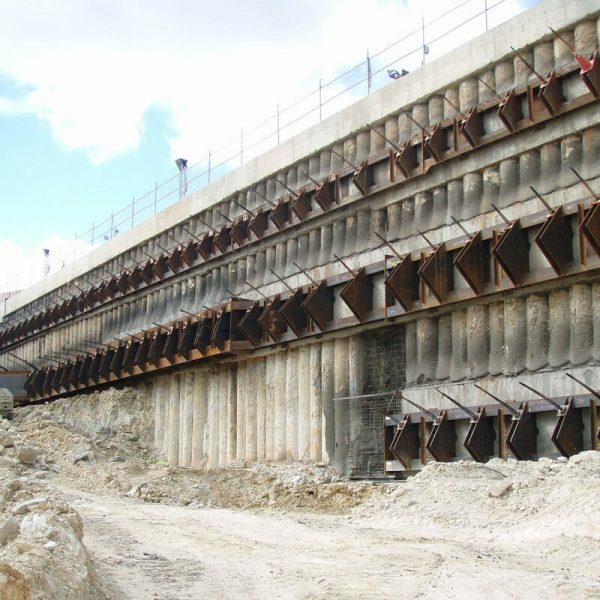 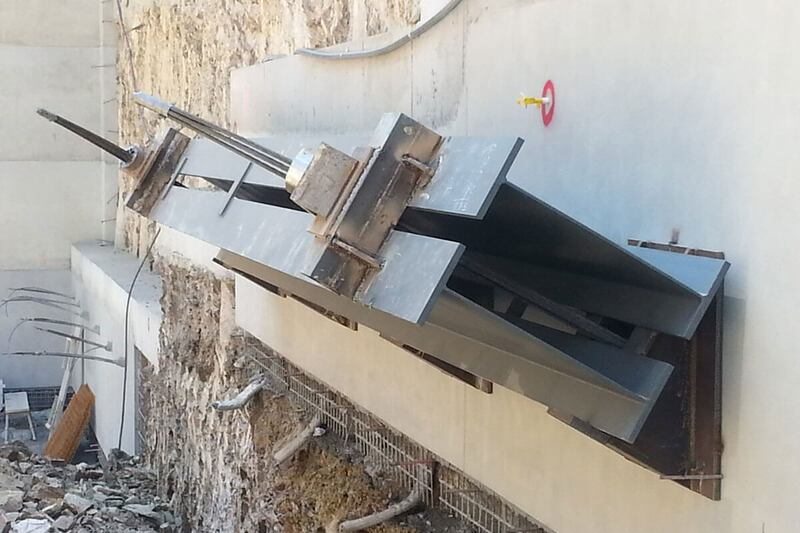 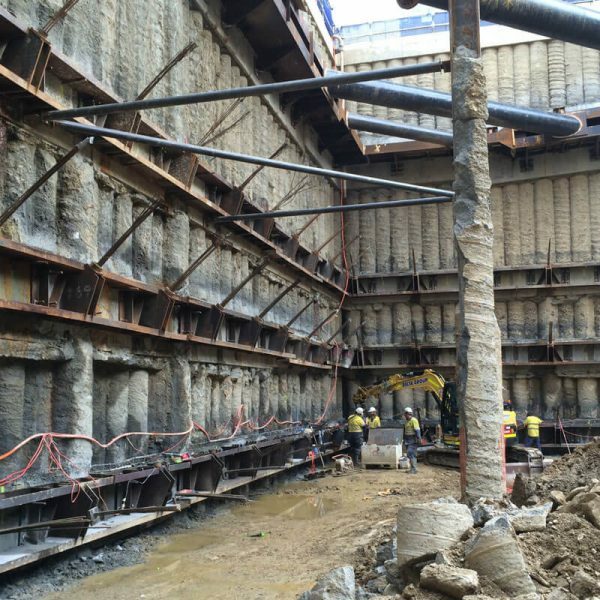 QPS most commonly utilise structural steel walers for earth retention systems for sub surface excavations to metro projects, however large civil projects such as tunnelling often require walers of reinforced concrete in permanent applications to distribute loads between anchors.